THE RISE OF THE SOCIAL ORIGINAL: Will episodic content finally take off on social media? Last week and Facebook relaunched MTV’s Real World via its Watch Tab. A few months ago, Instagram introduced IGTV, focusing on long-form creator videos. It’s clear that social is in an all-out battle to own the mega enterprise that has become mobile video viewership. And rightfully so; mobile video viewing accounts for 75% of digital video views and social networking is the #2 use of a mobile device after audio. It’s only natural that these two forces combined could take over the entire mobile landscape. But are we really ready to watch shows on social? When you look at the numbers, it’s clear that watching episodic, traditional-TV programming on social networks is still nascent. But the intent is there. People do appear to be ready to watch their favorite shows on social. In fact, eMarketer found that 47% of 18 to 24-year-olds would do just that. However, social networks are struggling to find their niche in the on-demand video viewing world. Take Facebook Watch for example. Though viewership has increased, going to the Watch Tab still isn’t a habit of its regular users – about 50 Million people watch about 1 minute of Facebook Watch content a month. For reference, Facebook has over a Billion active users, so this represents just 5% of its network. And while there’s promise with IGTV’s focus on creators, it hasn’t maintained the success of its early weeks in the app store, with sharp declines in app downloads week over week. …why hasn’t it clicked for any social platform other than YouTube? It’s the content. Up until now the episodes and content just haven’t been that amazing. Yes, New England was enthralled by the Facebook Watch show Tom [Brady] vs. Time, but holistically the options presented by the networks have failed to stand out. They are simply regurgitations of shows that already exist on YouTube or on other channels. If we can take anything away from the rise of Netflix and Hulu, it’s that the shows have to be nothing short of captivating. They have to be The Handmaid’s Tale shocking, Making A Murderer buzzworthy, or Master of None hilarious. If you want to change a user’s behavior from causally finding videos in-feed to going to a social network as a destination for episodic content, that content has got to be good. For this reason, we actually predict that Snap Originals may create a halo effect for the entire category. With Originals, Snapchat took the time to partner with publishers to find writers, producers, and actors that will make its videos binge-worthy. For example, the 12 originals they’ve announced leverage the same talent that brought us Stranger Things, Friday Night Lights, and even Keeping Up with the Kardashians. The new show Class of Lies comes from the mind of one of the writers on Riverdale. These are creators who have developed some of the most popular shows for the Millennial and Z generations. When you put some of the best film/TV talent together with the perfect format, there’s bound to be magic. In time, this magic will have a trickle effect on viewership for the rest of the platforms. If we’re used to watching shows on Snapchat, how long before we’re used to viewing all of social media as a destination for episodic content? It didn’t take that long for Stories to catch on, either. We’ve seen this before. According to Adweek, Netflix is having a “halo effect” on traditional cable shows. Riverdale saw live-plus-7 (the live airing plus seven days) ratings jump 60% in season two. In summary, the concept of the social original isn’t going anywhere. Success is inevitable in this category, and as advertisers we’ll be remiss if we don’t start to develop our own muscle memory. We must begin understanding what works and why. So when Instagram, Snapchat or any of the platforms start winning Emmy’s, we won’t be shocked, and our brands will be at the forefront. This entry was posted in Social TV, Video. Real Time Social? Guess Again. Originally posted on The Huffington Post Blog. We can agree that when it comes to social media, we’re all panning for real-time gold. We’re tirelessly keeping up with the trends and coaching our clients (or bosses) about the importance of being in today’s conversation – which isn’t necessarily the one we planned on. Reach just isn’t possible without super smart real-time executions that propel our brands into the now, especially when paid dollars aren’t on the table. But here’s the problem: our highly regulated, bureaucratic world isn’t suited for the quick movements necessary to make real-time possible. And it’s not the fault of the process. There is so much compliance involved that large companies are rendered motionless until they’re given the go-ahead from their legal departments. But trends die out as quickly as they catch on, and in the time it takes to get something approved, your real-time relevance is gone with the wind. Beats by Dre anticipated a conversation around Lady Gaga’s arrival and capitalized on it. The result? A shout out from Miley Cyrus…organic reach like whoa. Did you see that? Yep, this singular tweet received over 15,000 retweets. And it came as the result of a LIVE collaboration between agency and client, creative and listening, strategy and account. All branches coming together, likely in one room (the “war room”), to monitor and brainstorm together with their legal reps. It takes a lot of people and a lot of effort, but, in this case, the brandlive/war room approach was well worth it. But is this realistic for every brand? The stars have aligned and the current convo magically fits 100% into our scheduled content. We can then simply slap a hashtag on it and publish early. Yes, there are ways to strategize and help make this a reality, but it’s not a model that can sustain itself.Without a hero’s commitment and Oprah Winfrey pockets it’s almost impossible to carry any of these out. No matter the amount of relevance, if there’s no media budget for this extreme effort in relevance, no one will see it. It’s actually likely to get less traction than one of your regular promoted posts. There’s only one exception that my colleagues and I can agree upon, and that’s Instagram. Not only do hashtags seem to trend for longer on Insta (remember#nationaldaughtersday? Yeah, it lasted for three days), but paying attention to them is actually pretty posh. However, their recent push into the advertising spotlight is likely to change that reality as well. So what’s the solve? How do we ensure that social is truly interactive when we live in a highly regulated world? My prediction (and maybe my childish dream), is the rise of social compliance agencies that are dedicated to learning the ins and outs of specific industry regulations and how they apply to social media. Agencies with staff members dedicated to 24/7 support who can deliver short turn around times, and, most importantly, who have their asses covered with the best legal teams in social. But we’re trying to be real…right? So, for the purists out there, keep trying to jump over hurdles to win your insta-gold medal. And prove me wrong by getting some ROI out of these extraordinary efforts. Until then, we’ll all settle for as real as real-time can get. This entry was posted in Advertising, Social Strategy, Social TV and tagged Advertising Week 2015, real time marketing, real time social. Three R’s: React, Resonate, Recall. Try to watch that and not react. We tested the difference in reactions between these drunk driving PSAs by the TAC (drink and drive and people get hurt) and the American very pragmatic approach toward drunk driving PSAs (drink and drive and get a ticket). The results were pretty astounding. The people who watched the Australian PSAs reported having stronger opinions regarding drunk driving than respondents who watched the American PSAs almost without fault. And if you watch that video, you’ll notice that the PSAs also had a huge effect on the amount of lives lost due to drunk driving since they began 20 years ago. So what’s the point? The point is the reaction. It’s all about the reaction. Whether it be a smile, a laugh, a tear, a gasp, and in this case, probably all of the above, it’s the reaction that triggers memory. It’s your strong response that allows you to remember the experience, make associations in your brain and then recall the information later. And that’s why a PSA with such a strong message actually gets results. Now we can’t attribute everything to an ad, or a tweet for that matter. But what we can surmise from this is the powerful effect or contribution that advertising, messaging, brand perspective and storytelling can have on a society when it’s relevant – yet another ‘R’ to add to the mix. Can every campaign we create elicit this same level of emotion? I’d argue no, it can’t. But is it something every brand should strive for? Absolutely. And if you want to strike a chord that resonates and people recall later, with an eventual goal of increased awareness and, dare I say, increased sales or brand lift, you have to think strategically about the types of people you want to react, how, and how it aligns with your brand. Your goal can’t be to make someone laugh. Well, it can be…if you’re a comedian. But the real genius brand content is the content that elicits a laugh and evokes a memory that can easily be re-associated with your brand, or your brand’s message. Otherwise the emotion will pass, and you will have lost your moment to make a lasting exchange with your audience. So, back to #thedress takeover. My first reaction to the Salvation Army tweet and campaign was negative. I felt it in my gut. Black and blue used in that way disturbed me. But that was the point. And that’s the genius of it. The entire campaign was designed to shock you. But shock you into awareness around something that we all try our hardest to ignore. And guess what, we’re talking about it. We’re remembering it. And we’ll recall this later, I promise. What are your favorite examples of content that makes you react? 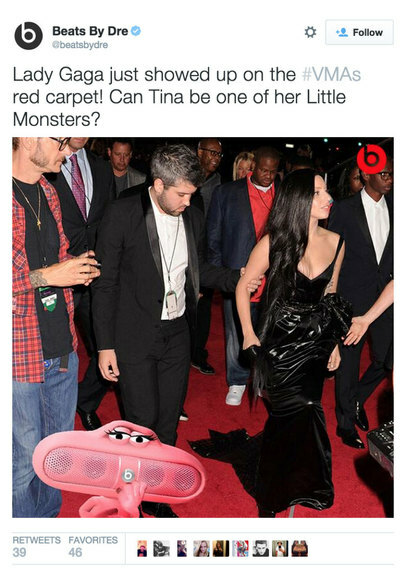 This entry was posted in Advertising, Social Strategy, Social TV and tagged #thedress, black and blue dress, content strategy. The first time I heard the term “second-screen viewing” or “second-screen viewer,” I rolled my eyes. Hello…we have been watching TV and eating, reading, doing homework, “studying,” emailing with clients, etc. for as long as the TV tray has existed. But what we haven’t experienced for decades is the ability to track what viewers are doing while they’re watching. Are they playing Candy Crush and sort-of watching CSI or are they watching The Voice and following the singers virtually as they sing on screen? In other words, are they tuned out or hyper tuned in? Thanks to social media (and our inherent need to share), we’re now able to pinpoint just how engaging our shows are. And, more importantly, we’re able to capitalize on this engagement with ads. But just how much second screen viewing is actually happening and what’s the potential for second screen engagement? In 2012, Nielsen reported that 40% of smartphone and tablet owners used their devices while watching TV. In just 2 years, that number has increased to 80 percent! So as advertisers and “official engagement engineers,” how do we capitalize on this? Thankfully, technology has given us the ability to track the real-time interactions happening across multiple networks, platforms & devices and associate those with what’s happening on TV. And they’re not mapping back to to the TV guide to determine when something’s airing. It’s way more sophisticated than that – companies like Bluefin Labs (now a part of Twitter) have technologies to determine what’s on TV in conjunction with real-time conversations on Twitter and Facebook. All of that aside, engaging with TV viewers is now not just an opportunity, it’s a necessity. But what does this mean for advertisers? In-depth knowledge of your target audience. 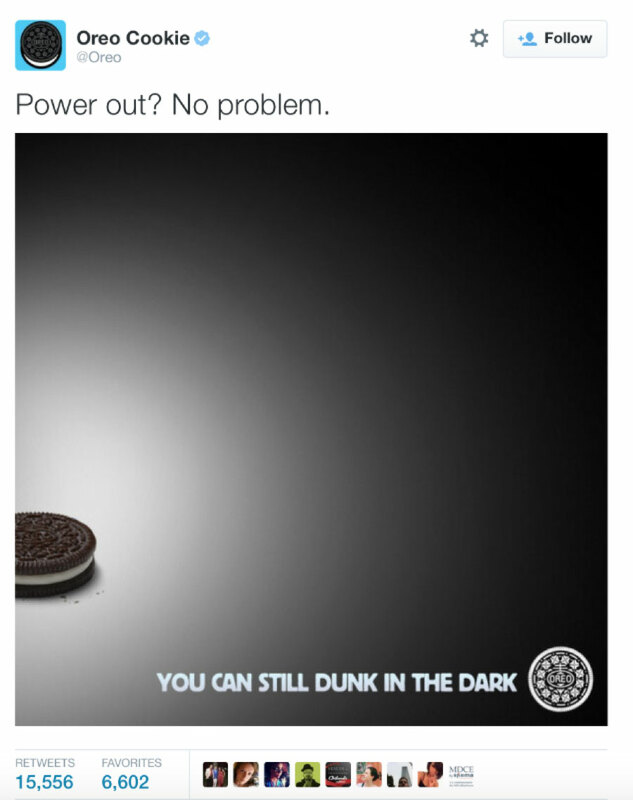 Gone are the days of shot-in-the-dark intuitions around where your target audience is and what they’re talking about. To engage in the second screen, you have to KNOW what shows your audience is watching, when they’re watching it (live or DVR? ), and what networks, hashtags, etc. they’re using while viewing. Live Interaction. Okay well that’s sort of a given. With social, you need someone manning your account basically 24/7. But if you want to engage with TV viewers, you must also watch along with them – otherwise how would you know what they’re even referencing in their #scandal tweets? On-the-fly Content Creation. Brands always struggle to find the perfect balance between getting content approved before it goes live and creating content that leverages real-time conversations. But with the second screen, this balance is even more important. You can’t wait until the second commercial break to promote a tweet about something that happened in the first two minutes of a TV program. So you either need to be able to predict a few content areas and have the ability to adjust based on the show OR you need the ability to create images and associated text with an “ask for forgiveness, rather than seeking approval” mentality, forgoing the approvals process. How do you engage with brands and/or TV shows while watching the tube? This entry was posted in Social TV, Twitter, Uncategorized and tagged Bluefin Labs, Second Screen, TV, Twitter Ad Targeting, twitter advertising. This morning at its #Twitter4brands conference, Twitter unveiled two new services: TV Ad Targeting & Twitter Amplify. We’re most excited about the new TV Ad Targeting project, but have discovered that it may be a VERY long time before advertisers and brands will actually be able to use it, especially because of its budget restrictions and exclusivity. We knew when they announced the Vine app that Twitter was trending toward making video a more prominent part of the Twitter user experience. But we had no clue what was on the horizon. This morning we learned that media brands and their ad partners can promote short television clips on Twitter. It’s been in Beta for a while, with 5-10 second replays from NBA basketball games. But brands will now be able to include their message at the end of the clip. For instance, a clip from “The Weather Channel followed by an ad for a restaurant chain,” (Mashable). How this smaller advertisers will be able to take advantage of this, we’re not exactly sure yet. 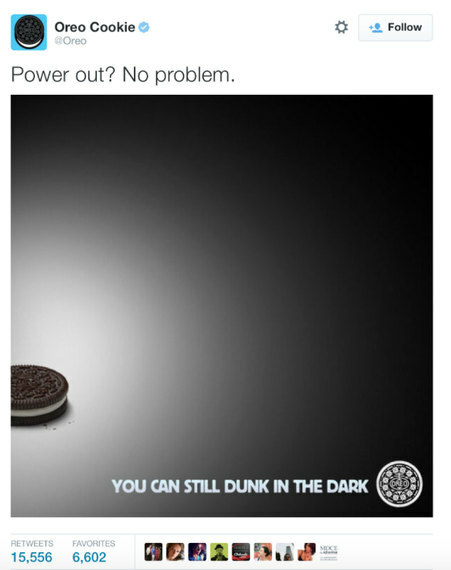 But what we do know is that promoted videos are an amazing way to really engage an audience. I’ve always been a fan of the technology behind Social TV analytic company Bluefin Labs. Since being acquired by Twitter, though, we had yet to see any major changes in the platform. Until now. This morning Twitter announced a new product that will allow you to promote tweets to users who have just watched your ad on tv, thereby securing post-commercial viewing engagement. Twitter is now enabling brands to consider the entire Social TV experience and giving them a chance to break through. Want users to watch your commercial and then visit your amazing website or start playing your social game? With TV ad targeting on Twitter, this is now a reality. The Social TV movement has finally come full circle. But you’ll have to hold your horses, because the project is currently in Beta and only being offered to current Twitter ad partners. I was also sad to find that the reality is that this is a product only brands with large marketing budgets can afford. Allocate a minimum of $100K incremental (per handle) to “Promoted Tweet” campaigns coordinated with TV ads. $50K of this must be allocated to TV ad targeting, with remaining funds to be allocated at the client’s discretion. With these new opportunities, will you rethink your Twitter advertising budget? This entry was posted in Advertising, Social TV, Twitter and tagged #twitter4brands, twitter advertising. It has been such a long time since I’ve posted on socialallie.com. Shame on me! Here’s the deal – Most of my blogging efforts are now through db&r. As their Social Media Specialist, I curate and write for our blog (sixstoriesup.com). I’m still writing! So, while I think about my next post exclusively for socialallie.com, I thought I’d share some of the most recent blogs I’ve posted for db&r. This entry was posted in Advertising, Social Analytics, Social Strategy, Social TV and tagged Engagement, Facebook Advertising, Google Reader, MySpace Redesign, social media, social tv. Social TV is changing the world. Okay – that might be a little too strong of a statement. But the reality is that social tv could very well be the television’s antidote to streaming services, Netflix, and even the high and mighty DVR. Why? Because it’s changing the way we consume programing. It’s definitely changed my television watching habits. If you’re a little confused, I’ll break it down for you. People tweet, post updates on FB, and blog starting the minute their favorite program airs. Tweeps use special hashtags to ensure that they’re a part of the conversation. And now, at least for me, it’s almost a crime to not follow a hashtag along with a show, game, or political event. Why? Because I want to know what others are saying, what they’re thinking, how they’re reacting. It’s a virtual “water cooler” that you don’t have to wait until the day after to converse around. As we all stopped watching our shows in real time or began multitasking while watching TV, advertisers and networks started getting scared. 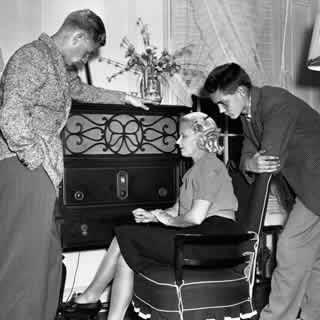 There used to be a time when there were few TV channels that everybody watched quietly, with no distractions. How can we reach our target consumers? How do we keep our viewers engaged? A popular historical reference comes to mind – FDR’s Fireside Chats. Though I wasn’t around in the thirties or forties, I do remember stories of families crowded around their radios to hear his coined, “Good evening, friends” speeches. In fact, Roosevelt’s Fireside Chats attracted more listeners than the most popular broadcasts of the time. There’s no way it couldn’t have been the next day’s topic of conversation. In this era, we’re lucky that we can chat back and forth during our Presidents’ addresses. We can comment on his tie, his political statements, and whether or not our vice president is on the verge of falling asleep. And in doing so, we’re all coming together in front of our TV sets and paying attention. We’re listening to the words spoken and watching action scenes with our eyes widened. We know that social media has changed the way we consume media. But, who would have ever thought that this technology would bring us back together akin to Roosevelt’s radio addresses? Well, it’s happening. And advertisers, brands, and networks are finally realizing that by leveraging social media, a 30-second spot can extend way beyond the television frame. I can’t wait to see what advertisers have in the works for this Sunday’s Super Bowl. In fact, it’s been reported by lostremote.com that every major Super Bowl media investment has a social tv component. Smart for the brands and fun for the consumer. This Super Bowl Sunday is going to be HUGE, and not just for my fellow New England fans. I’m predicting that the social chatter during the game breaks all precedents and saves the almighty commercial from becoming obsolete. My challenge for you is to get involved. Follow along with the hashtags within commercials in Hootsuite or Tweetdeck streams and join in the conversation. 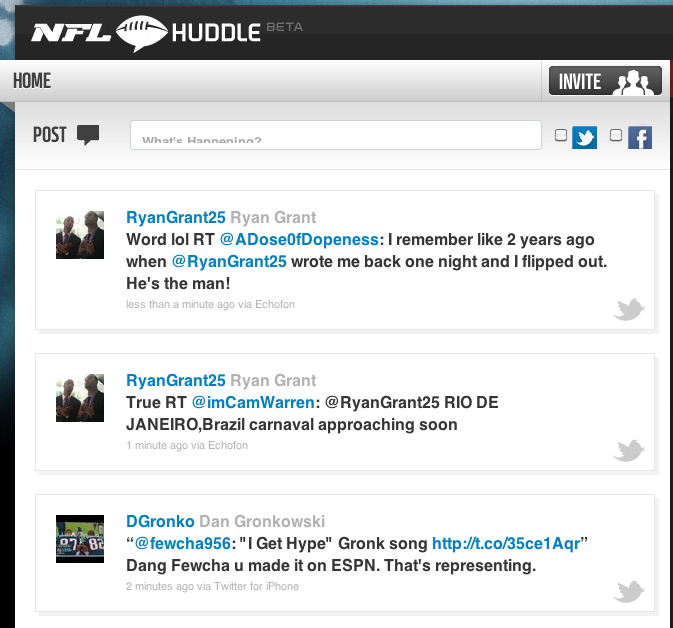 Use NFL Huddle to keep track of all of the updates from players, hosts, and the media before, during, and after the game. If you’re a social media nerd like me, you’ll be happy you did. This entry was posted in Advertising, Social TV and tagged commercials, NFL, NFL Huddle, social tv, Super Bowl.